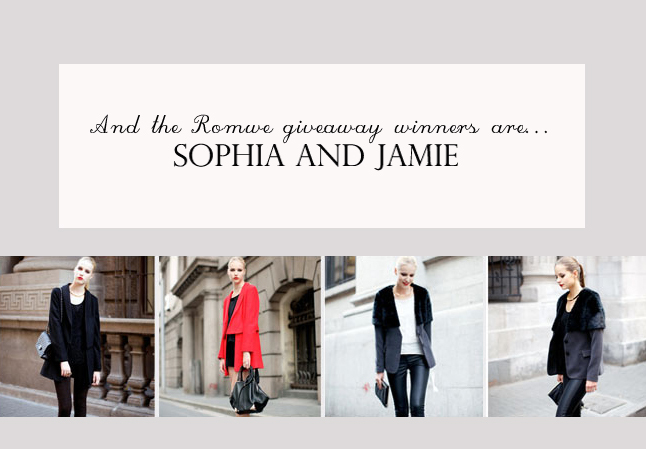 Congratulations Sophia and Jamie– you won the $80 freebies to spend at Romwe! I’ve sent you an email to let you know that you’ve won. To those that weren’t lucky this time around, I have some things I know you’ll love to giveaway in the coming weeks..